Yup, we have just 64 days until Christmas which means we are all entering that crazy busy time of year! Yup, we have just 64 days until Christmas which means we are all entering that crazy busy time of year! Add to that three more shows/conferences in the next 15 days, coordinating on our largest issue of the year – the 2016 State of the Industry – and lest we forget, preparation for the January Buyers’ Guide, and I would say it is a safe bet that I may be just slightly insane. But wait, there’s more! Just for fun, let’s mix in the rebirth of a brand. Yes, I think that aught to do it, insanity ensured! At least you know that whatever your insanely busy schedule looks like winding down 2015, you are not alone. As I like to say, our job is to make your job easier! And with the upcoming changes, we want to make sure we are meeting our goal. So though you are crazy busy, I would like to ask a favor of you. 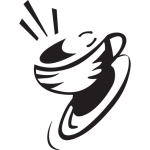 Please take a moment to visit coffeetalk.com/WHY and give us your guidance. Thank you, off to get ready for show travel!